Lactuca Sativa. 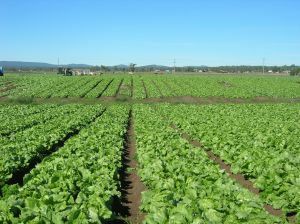 As an article of diet, Lettuce is extensively cultivated in the kitchen garden. The botanical name, Lactuca, from Lac, milk, is given on account of the milky juice which exudes from the plant when cut, this milky juice turns brown, and dries on exposure to the air, and is then called Lactucarium, or Lettuce-opium. It is narcotic, but less powerfully so than opium, and it does not confine the bowels as that gum is apt to do. It is recommended in phthisis and catarrh. It is given to ease coughs, and to procure sleep; the dose is from 1 to 6 grains.The juice mixed with oil of roses promotes sleep, and relieves headache. It is gently aperient, and aids digestion. It is also a good application for inflamed parts.